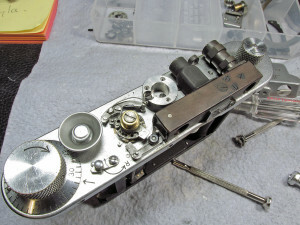 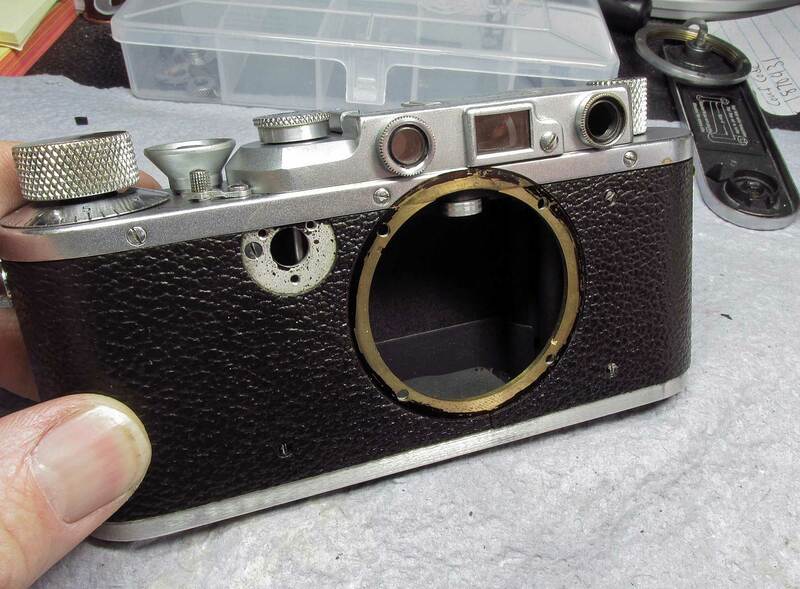 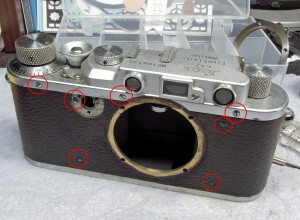 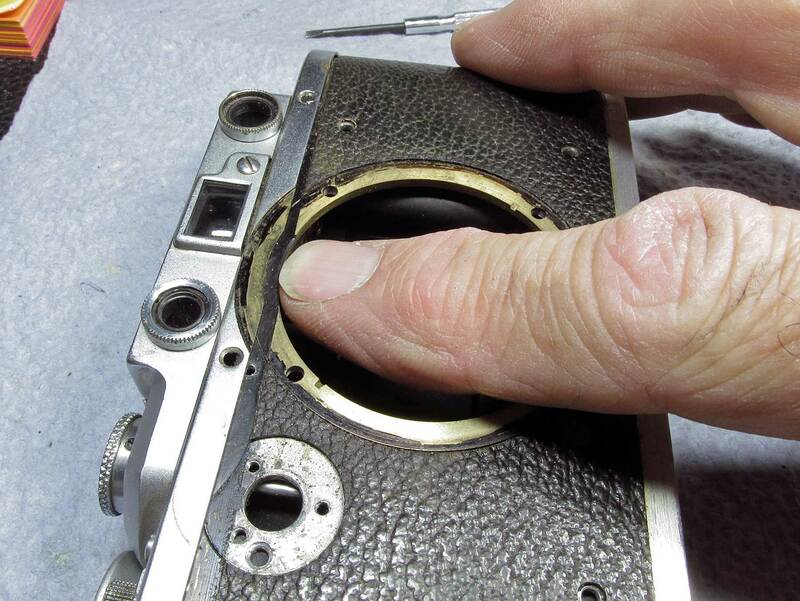 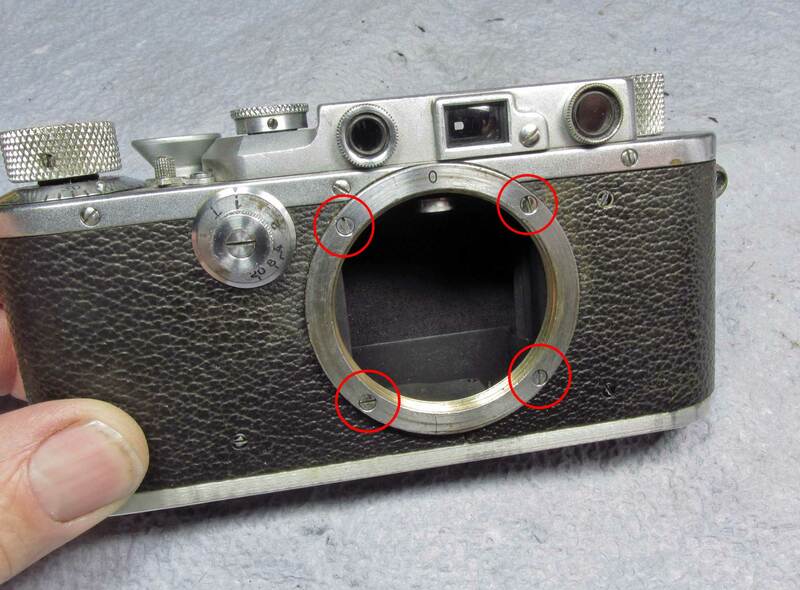 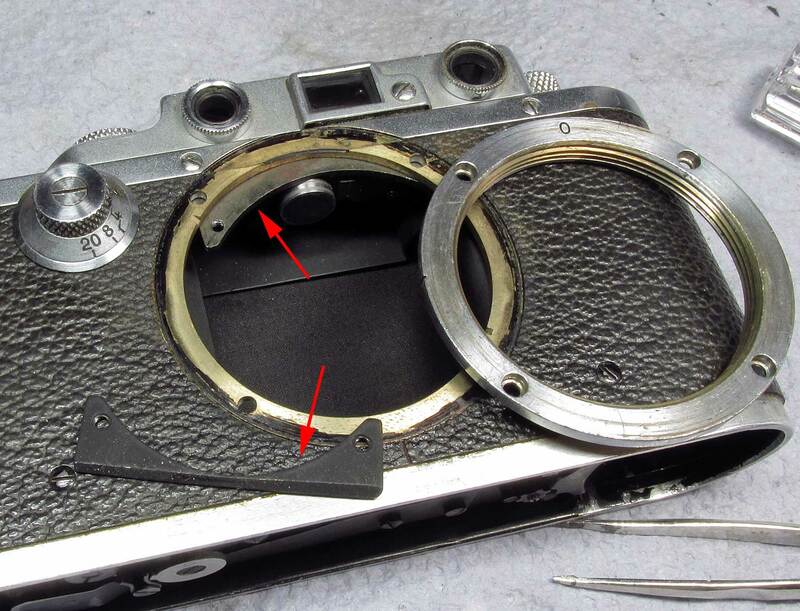 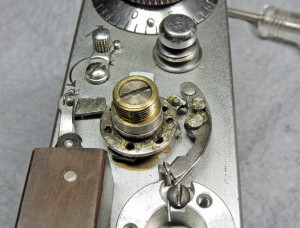 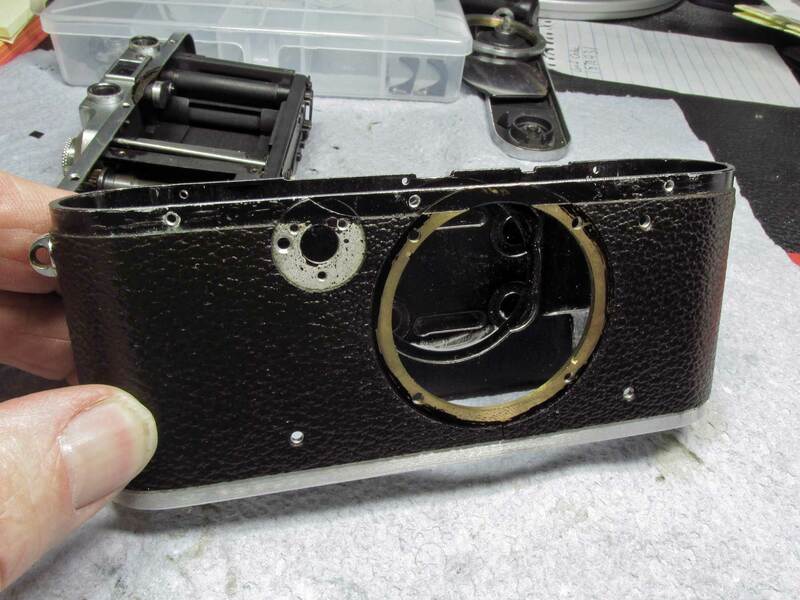 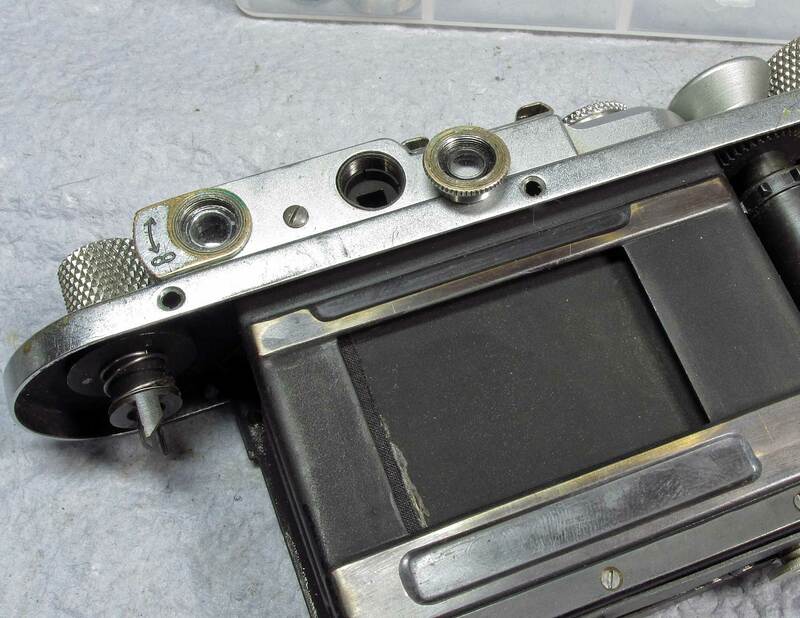 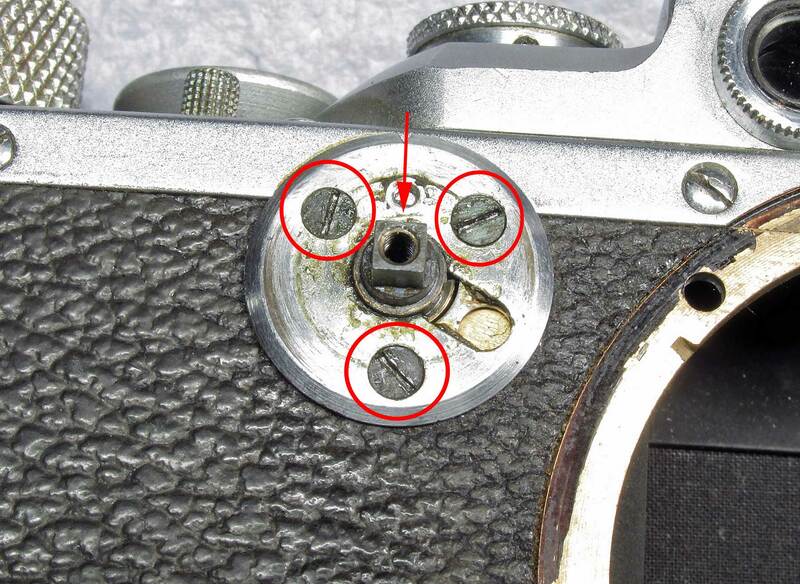 1936 Leica IIIa CLA and Repair | TunnelBlog! 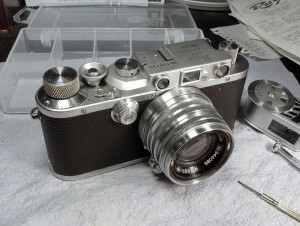 Hello Richard – that’s a very nice IIIa. Your notes on the slow speed mechanism helped me out greatly with my IIIb. It’s got much more wear than yours, from 1939.
check out the RangefinderForum.com for more suggestions. I used mostly a tiny screw driver, flat tip, of different sizes. 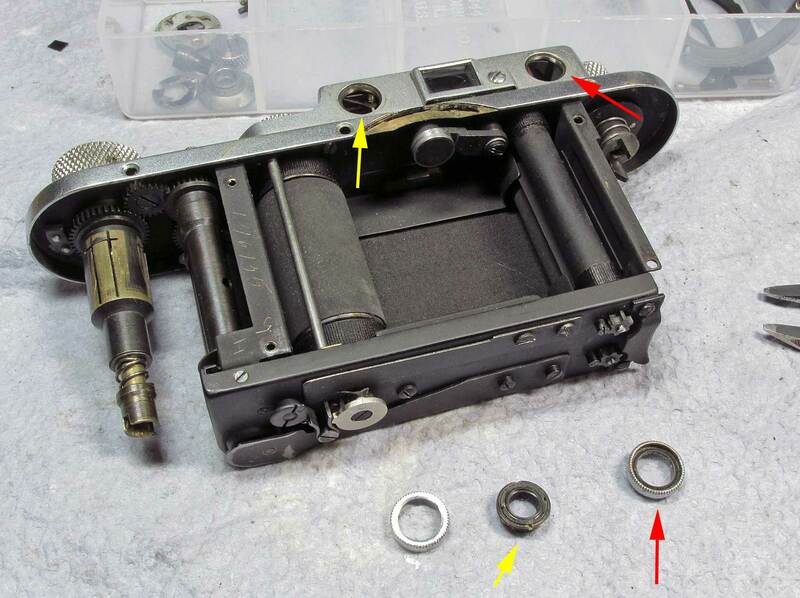 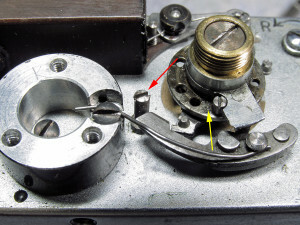 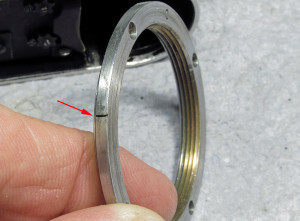 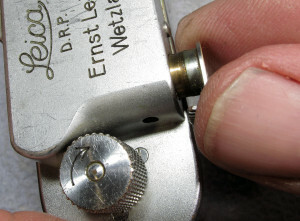 I used white lithium grease on the speed mechanism on top and sewing machine oil on the slow speed escapement bearings. 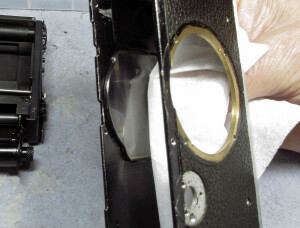 the curtain material and coverings are easily found on Google and eBay. Could anything regarding the CLA of a IIIA also be applied to a IIIC? I’d like to learn how to CLA my own camera, but I don’t know where to start. 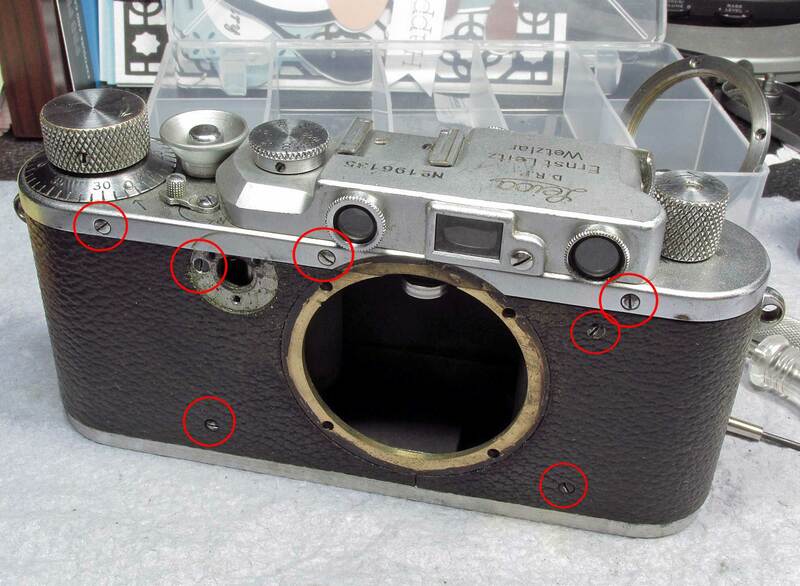 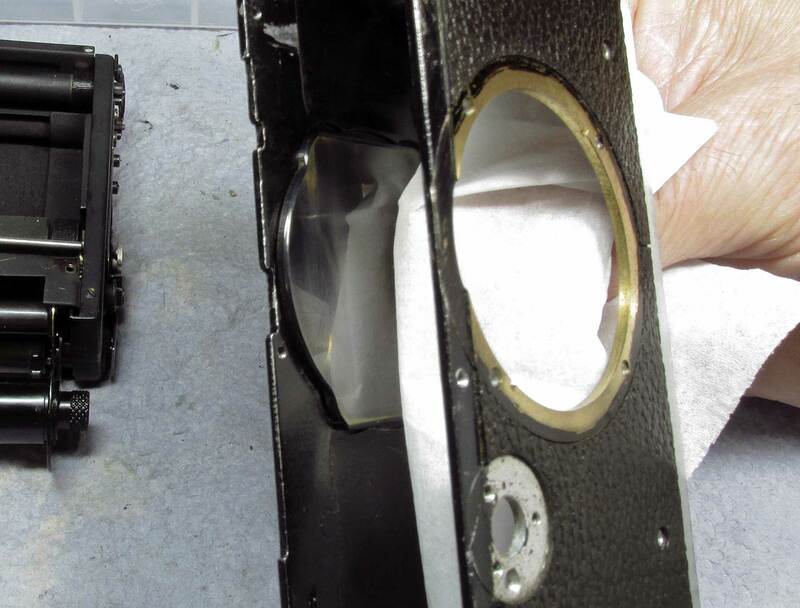 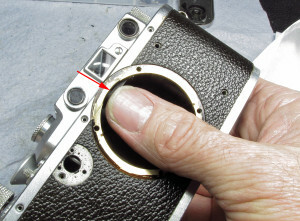 Mostly, I’m interested in how to take the camera apart and clean the view/rangefinders without causing any damage. When I first bought it, I sent it off to Youxin Ye, who did a fantastic job, though it seemed some light leaks were still occurring that I didn’t know how to fix. 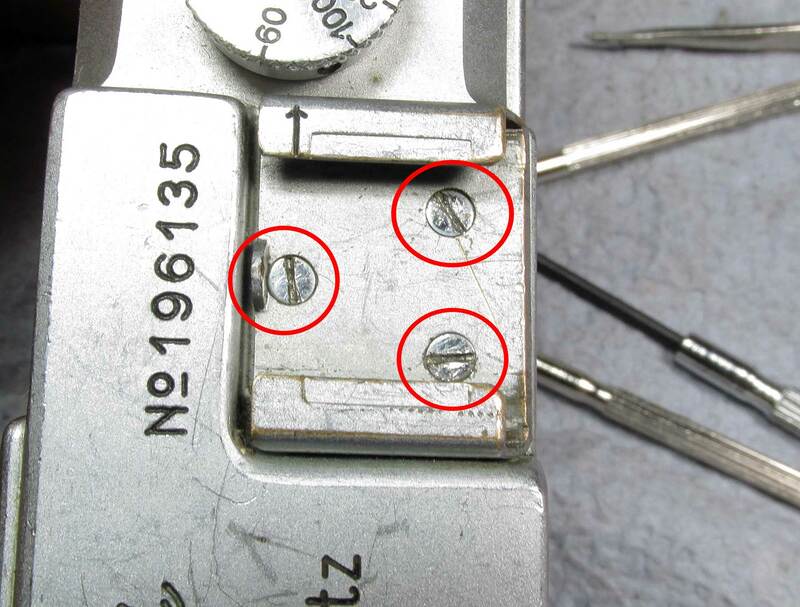 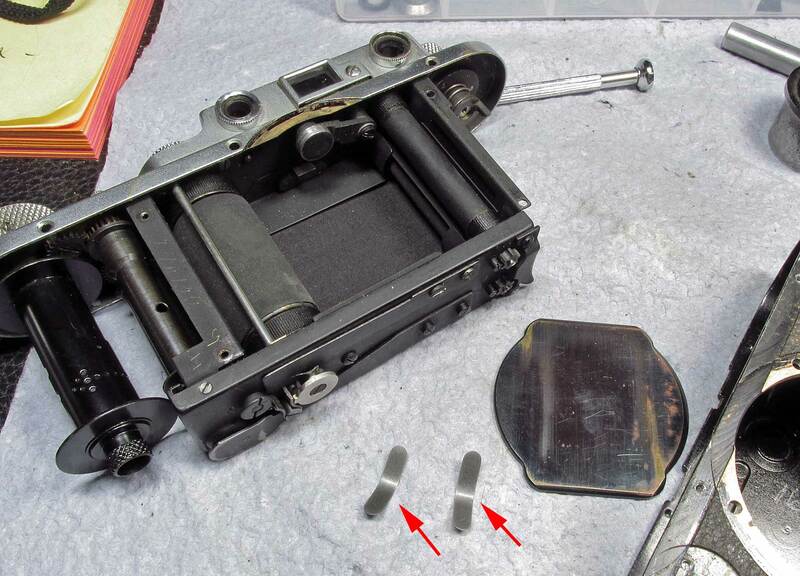 I have read text descriptins of LTM disassembly many times, but your step-by-step photographs make it much easier for a visual guy like me. Thanks a lot for posting!!! 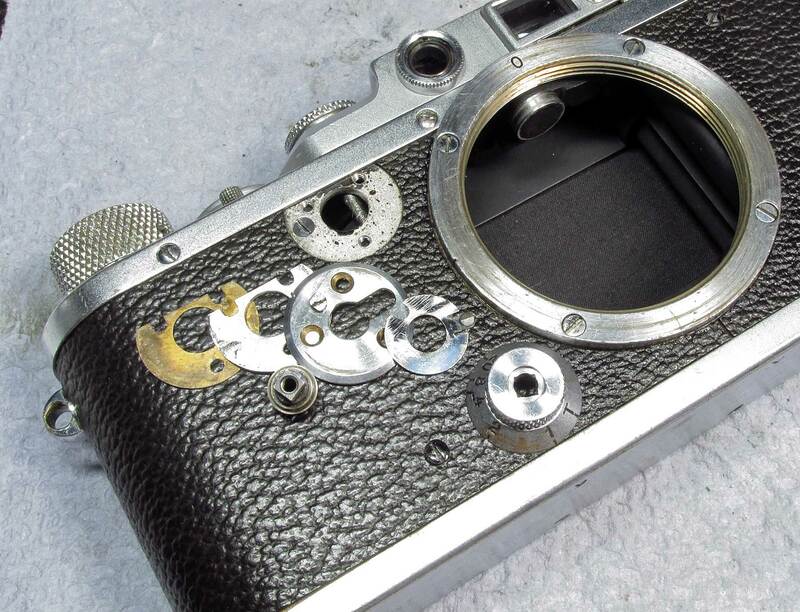 An excellent description of the dismantling an cleaning process, thank you. 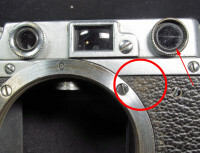 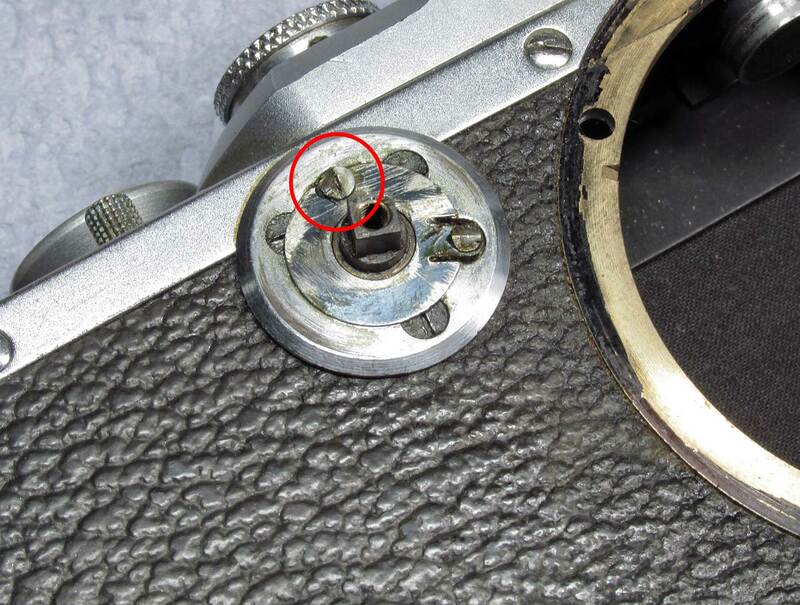 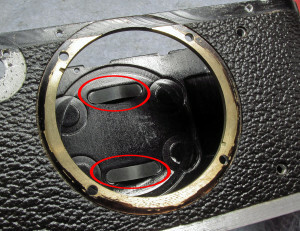 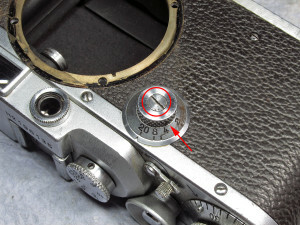 My 1935 IIIa is suffering from irregular shutter blind travel at all speeds but most noticeable from 1/500th to 1/60th. I first noticed this on negatives but demonstrated it subsequently by inserting photographic paper in the film gate and exposing to a light source with no lens. In your description you don’t mention lubricating the shutter blind shaft bearings/bushes, which I was counting on doing. 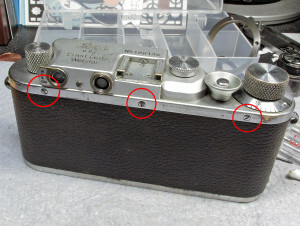 Is there any reason for this? 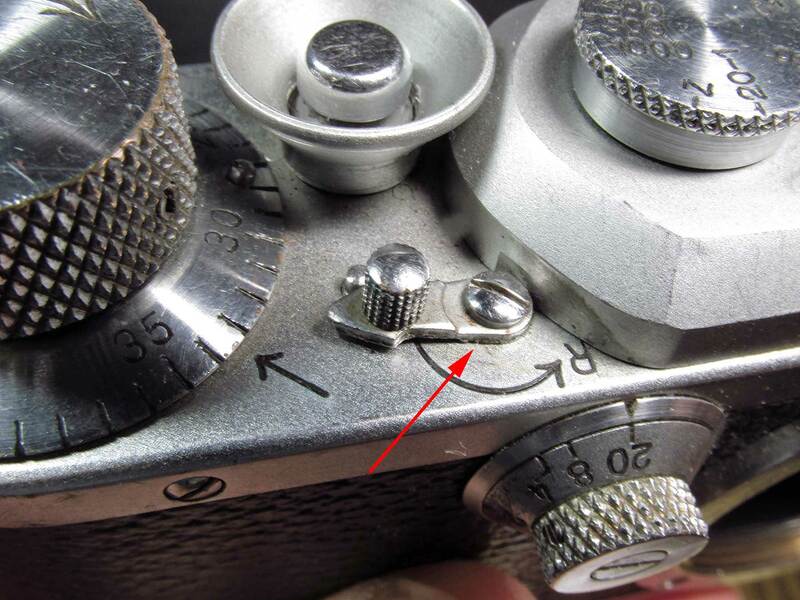 Perhaps because your problem was originally with the slow speeds and you took the attitude of ‘if it ain’t broke, don’t mend it’! 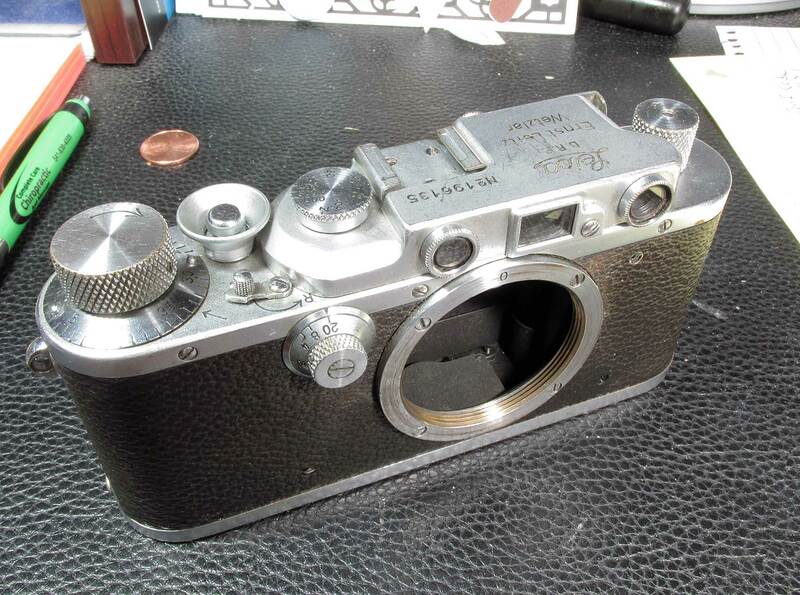 Any thoughts on this or my shutter problem in general gratefully received. (I had the camera professionally serviced seven years ago so I’m both surprised and disappointed that it should have developed the problem). 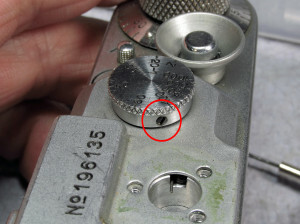 Thanks for your thoughts, Richard. 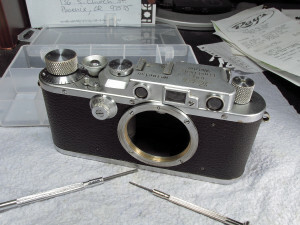 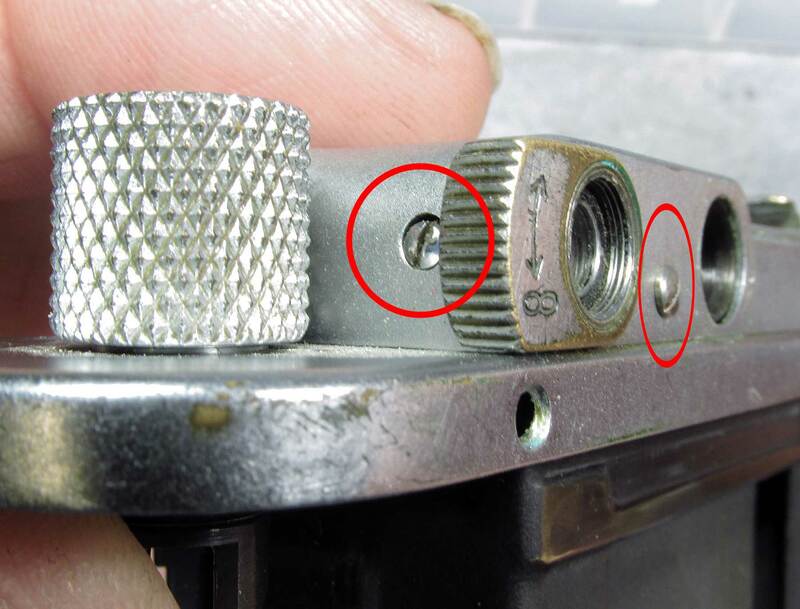 Though it’s possible to run into problems as a do-it-yourselfer, I’ve had cameras returned to me by professional repairers with faults that weren’t there before or faults that had been caused by the repair. 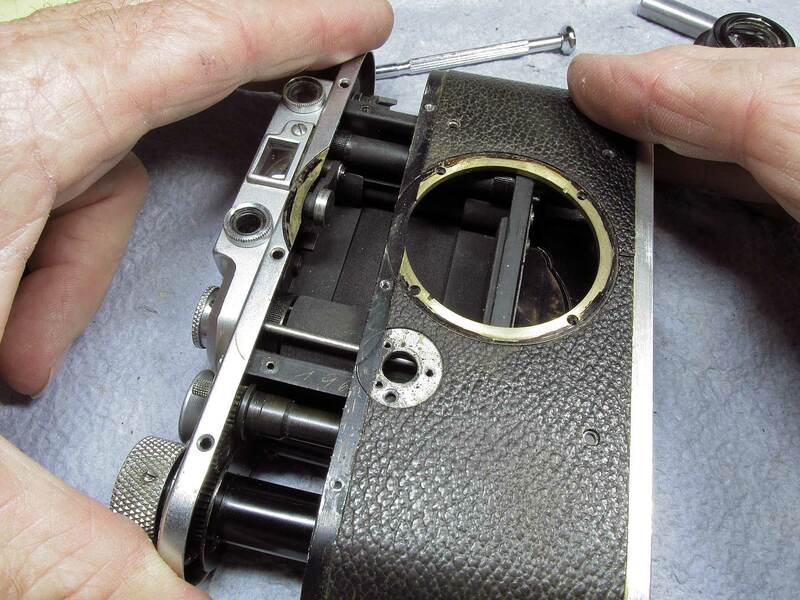 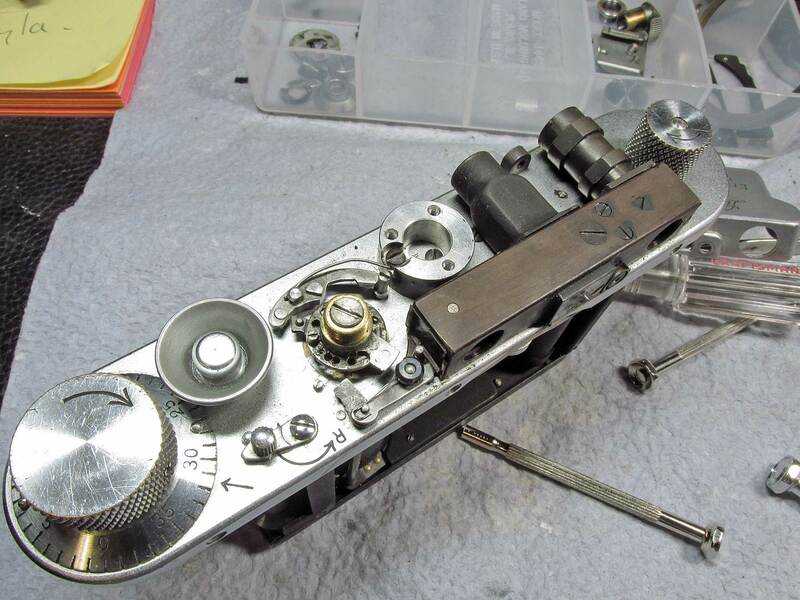 I would say to anyone reading your page that with care, patience and a decent set of tools a great many repairs can be done as well as if not better than a professional might do them. Obviously there are limits, but if we aren’t having to make a profit we can take as much time as the job needs, not as much as we can reasonably bill a customer for. The experiences of others, such as yourself, are invaluable and much appreciated.